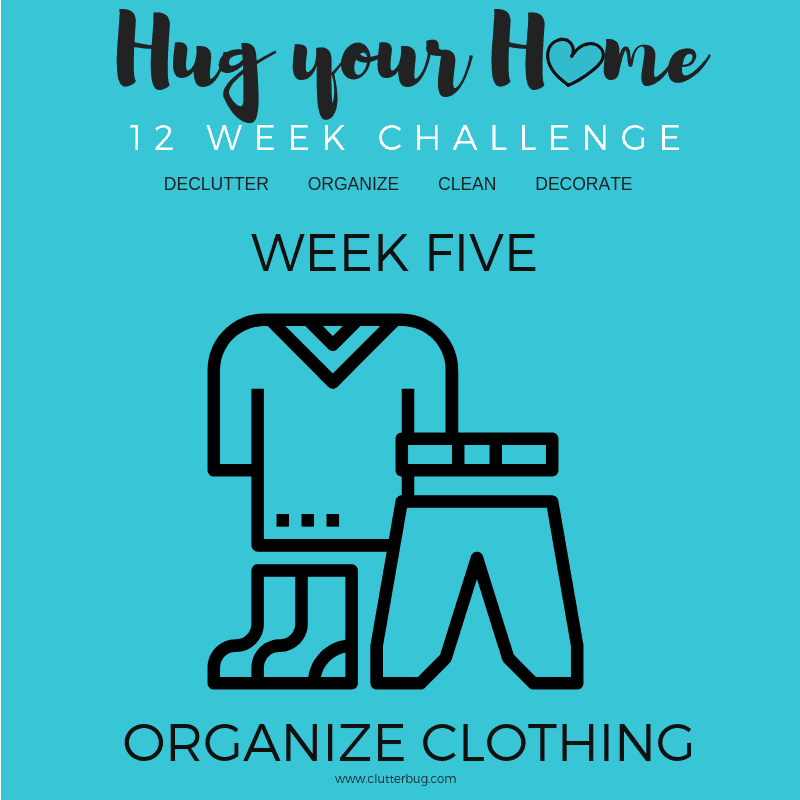 Organize your clothing – Week 5 – Hug Your Home Challenge. This week is a little more intense than the previous challenges, but I promise you it’s going to be worth it! Let’s roll up our sleeves and start organizing our clothing now! You’ve already decluttered your bedroom, so now it’s time to create some organizing solutions and systems that will keep it tidy for good! 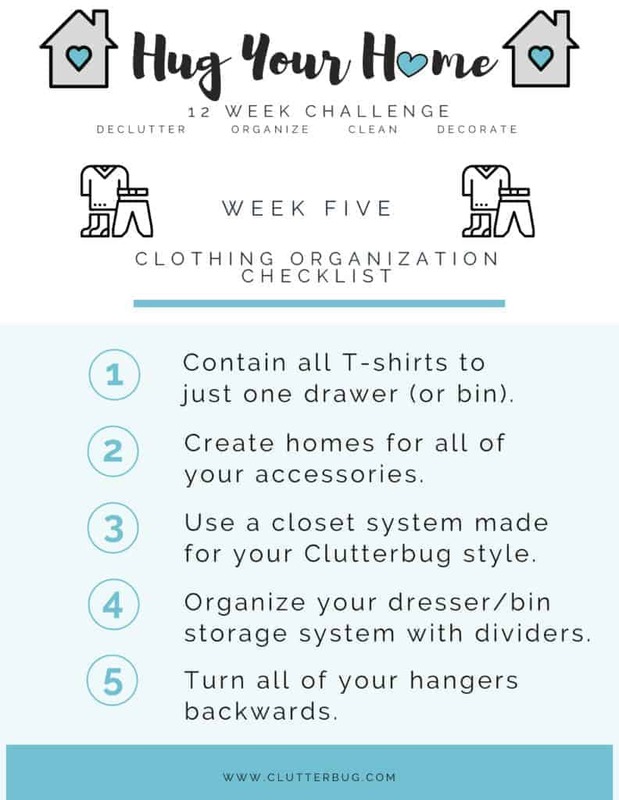 This week we are going to organize our closets, drawers, accessories and setup systems that work with our Clutterbug Organizing Style! Like always, you can download the FREE CHECKLIST and follow along with me! You can find the full video on my YouTube channel and you can also watch all of the previous challenges HERE. Vintage Toy Inspired Nursery on a Budget!